About Flying Lasagna Enterprises . . . 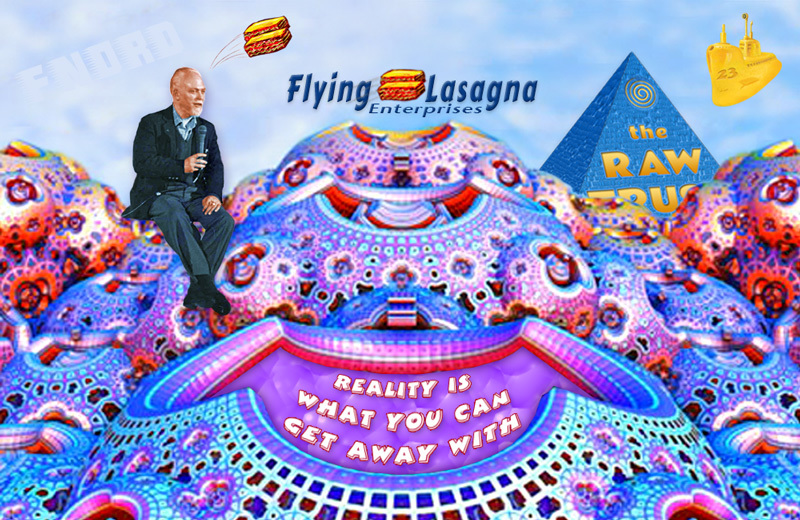 The idea for starting an improbably named business such as Flying Lasagna Enterprises began with Bob’s spiral ring. One of my life’s great honors was when Bob’s daughter Christina gave me Bob’s ring after his passing. It was an opulent gesture of saying thank you for my simple efforts at “being there” when the estate, and in a large sense, Bob’s legacy, fell into Christina’s hands. I put the ring on a small altar on my desk so that I could see it while I was working on Bob’s websites, and then later when I started editing and redesigning his books for Hilaritas Press. At some point I had the thought that sumbunall RAW fans might like to have a copy of Bob’s iconic ring. Christina loved the thought, and so to get an idea of what we might be able to offer, I took the ring to a local goldsmith who made an exact replica. 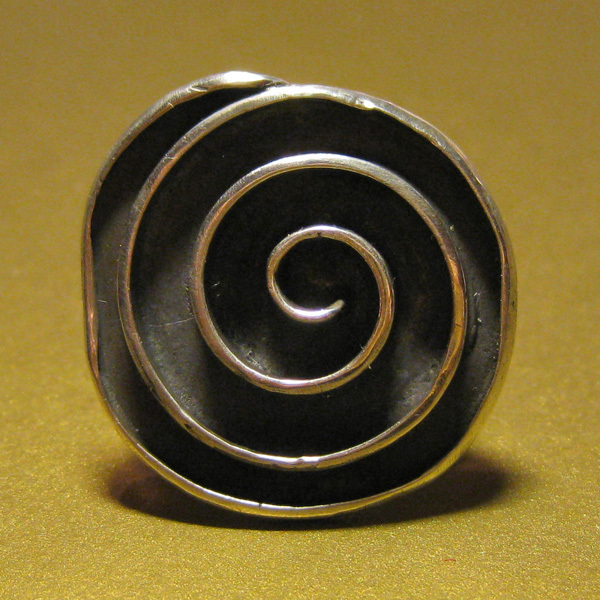 I also asked him to make a pendant based on the ring as well. We were very pleased with the results, but to produce more than a few would be impossible for our local goldsmith. 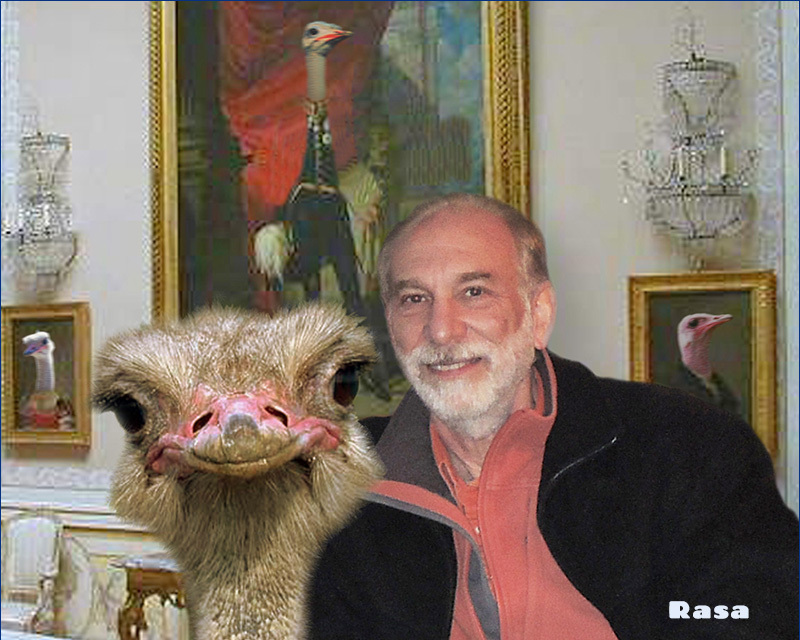 We contacted a small company in Rhode Island that a jeweler friend had suggested. My dear friend Marlis (who first introduced me to Bob and Arlen many years ago) accompanied me to the shop in Rhode Island. They had made a copy of Bob’s ring, and we were delighted to see it was equally as nice as the one our local goldsmith made. We were excited driving home, talking about “Bob’s Ring Project” – excited to get started. Or I was excited to get started, and Christina was excited to get started, however the wheels of the Probate Court didn’t seem to have any interest in the launch of Flying Lasagna. It took some years for Bob’s estate to get sorted out. Then we created Hilaritas Press, which has kept us hyper-occupied. Meanwhile, Bob’s ring sat on the small altar, staring at me the whole time. I had the copy from the Rhode Island company sitting in another part of my office, as a reminder of the awaiting project. 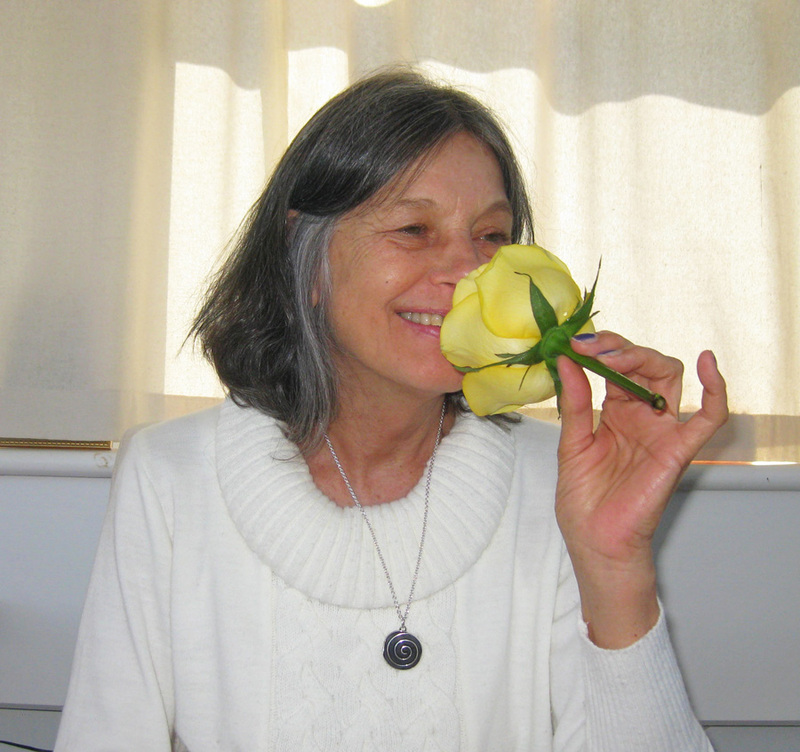 I gave the ring our local goldsmith made to Christina, and I gave the pendant to Marlis. 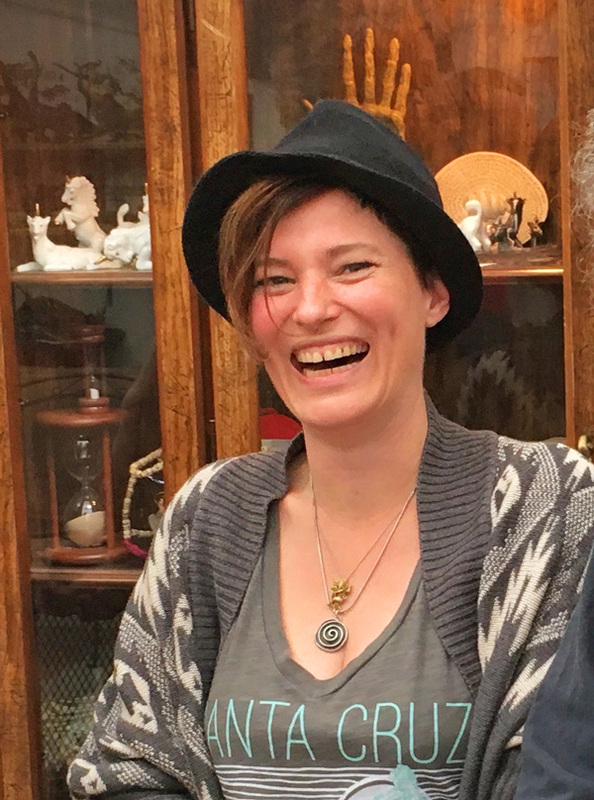 And then Daisy Eris Campbell, director of Cosmic Trigger the Play, came to RAWDAY 2017 in Santa Cruz. Marlis was wearing the pendant, and it immediately caught Daisy’s eye. Having grown up in the shadow of RAW, she easily recognized the design. I’m familiar with Marlis’ spontaneous generosity, but for Daisy it was a shock that Marlis simply took the pendant off and gave it to her. It was that look on Daisy’s face, having that relic from Bob in her hands, and smiling with a golden RAW hilaritas – it was in that moment that I knew I had to get on the phone to Rhode Island. When Christina and I were first discussing republishing Bob’s books, we had the idea to create Hilaritas Press, but we didn’t want the publishing house to be selling jewelry, or whatever else we might think to offer, so we began thinking about creating another company, and what to call it. We both liked the idea of naming it with some reference to RAW’s world of ideas. Model Agnosticism Enterprises didn’t seem to have the necessary zing. Operation Mindfuck Emporium – no, too much zing. 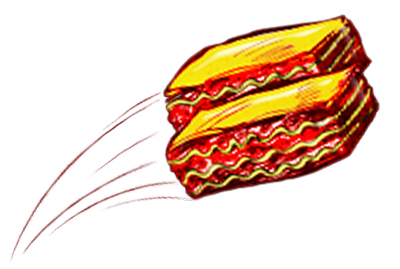 But Flying Lasagna – Bob’s humor, intellect and optimism all in one phrase – seemed like the perfect choice. The only hitch I can think of is that we really don’t plan on selling literal lasagna at any point, but I think mosbunall of our clientele can grok the metaphor. And who knows, if someone insists on ordering a lasagna, we may just send it to them. 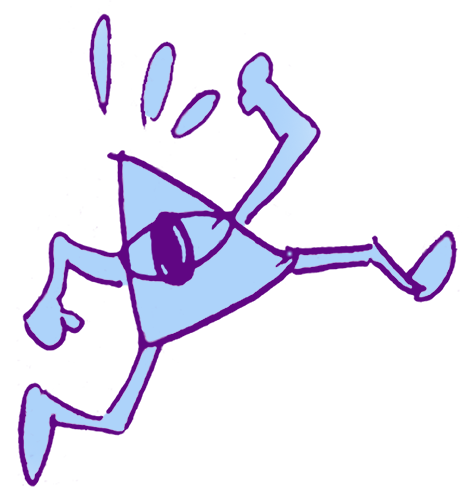 Bob’s drawing of a running one-eyed pyramid was originally only seen in personal letters he had written to his friends. 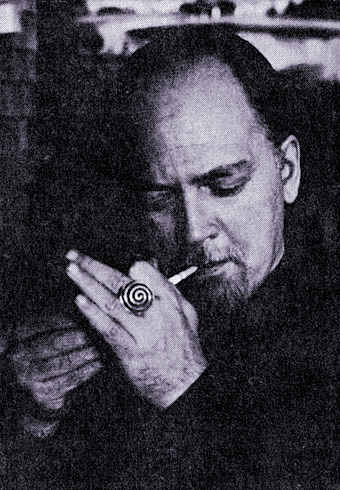 Scott McPherson of Amoeba Designs put the little guy on the cover of Hilaritas Press’ edition of Cosmic Trigger: Final Secret of the Illuminati. Scott found the drawing in a letter Bob had written to Ken Campbell. Hey look everyone! 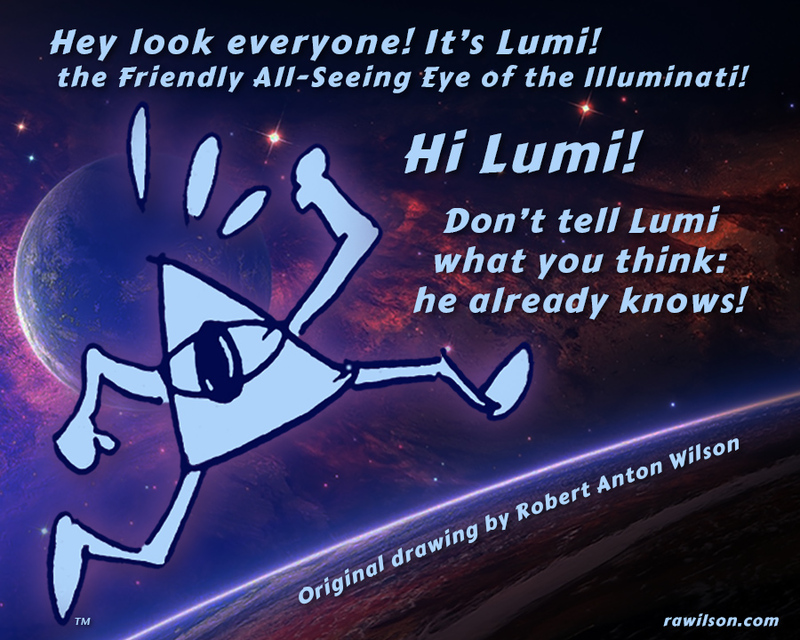 It’s Lumi, the Friendly All-Seeing Eye of the Illuminati! Don’t tell Lumi what you think: he already knows! From that point on Lumi started getting the heads up. 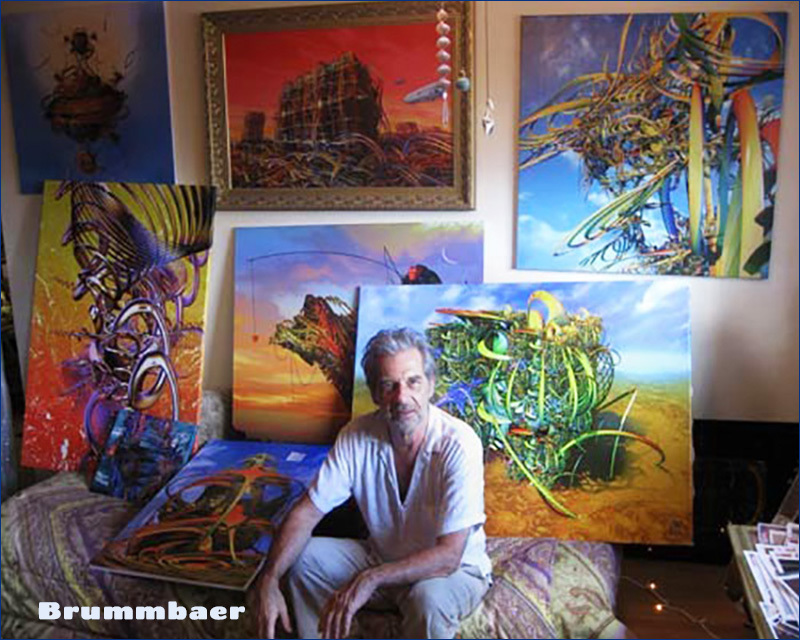 Other Advisors described the name “Lumi” as short, sweet, identifiable, positive, friendly and memorable. And so . . . say hi to Lumi!